Praneeth Media has acquired the USA theatrical release rights of Siddharth's Jil Jung Juk. This film boasts about its unique story and treatment which is evident through all the promotional materials presented by the team headed by director Deeraj Vaidy. This Friday, 12th of February will mark the theatrical release of this Vishal Chandrashekhar musical. The film will have it’s USA premiere on February 11th. Check below for details on show timings and venues. Actor Siddharth Talks About The Relief He Is Providing For Chennai And Cuddalore Flood Victims. Siddharth Completes His Portions For Aranmanai 2. 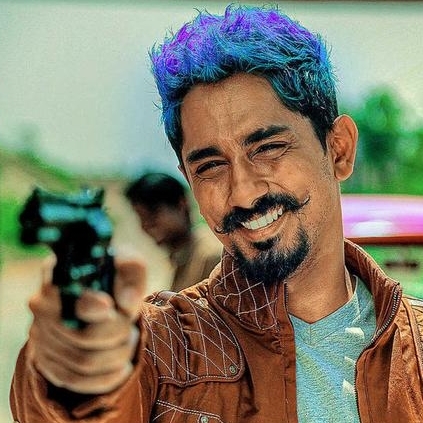 Jil Jung Juk - Is This The Turn Of The Tide? People looking for online information on Jil Jung Juk, Siddharth will find this news story useful.